Did you buy your safe from ACME Locksmith? Great news! 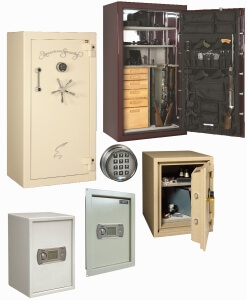 ACME Locksmith will give you up to 30% of the original purchase price as a trade in credit towards the purchase of a larger, upgraded safe AND we’ll haul the old safe away during the installation of your new safe. The exact credit will depend on condition and weight of the trade-in but if you purchased the safe you’re trading in through ACME Locksmith we take that into account when making our offer. Purchase your new safe today. Did you buy your safe from someplace else? Don’t worry. We can help you remove the safe and dispose of it. And, if it’s something we might be able to resell, send us some pictures and we’ll make you an offer for trade in. Please note. We won’t be able to make you a safe trade in offer for safes bought at discount warehouses. They’re just made too poorly to be resold by ACME Locksmith. As a locksmith / security company, we can’t in good conscience resell a poorly made safe.